You can never create prosperity by talking or thinking about your lack of money. This is wasted thinking and cannot bring you abundance. Dwelling on lack only creates more lack. Poverty thinking brings more poverty. Gratitude thinking brings abundance. That’s a terrible affirmation to use. Another unproductive one is: “Money goes out faster than it comes in.” This is poverty thinking of the worst kind. The Universe can only respond to what you believe about yourself and your life. Examine whatever negative thoughts you have about money, and then decide to release them and let them go. They haven’t served you well in the past and will not serve you well in the future. Sometimes people think that their financial problems will be solved by inheriting money from a long-lost relative or winning the lottery. Sure, you can fantasize about such things, or even buy an occasional lottery ticket for fun, but please don’t put a lot of attention on acquiring money in this way. This is scarcity thinking, or poverty thinking, and it won’t bring lasting good into your life. Anyway, when it comes to the lottery, winning seldom brings positive changes into anyone’s life. In fact, within two years, most lottery winners have lost almost all of their money, have nothing to show for it, and are often worse off financially than before. The problem with money acquired in this way is that it rarely solves any problems. Why? Because it doesn’t involve changing your consciousness. If you would only change your consciousness, your thinking, to allow the abundance of the Universe to flow through your experience, you could have all the things you think the lottery could bring you. And you’d be able to keep them, for they would be yours by right of consciousness. Affirming, declaring, deserving, and allowing are the steps to demonstrating riches far greater than you could ever win in a lottery. Another thing that can keep you from prospering is being dis-honest. Whatever you give out comes back to you. Always. If you take from Life, then Life will take from you. It’s that simple. You may feel that you don’t steal, but are you counting the paper clips and stamps you’re taking home from the office? Become aware of the beliefs that may be blocking the flow of money in your life. Then change those beliefs and begin to create new, abundant thinking. Even if no one else in your family has done this, you can open your mind to the concept of money flowing into your life. If you want to prosper, then you must use prosperity thinking. There are two prosperity affirmations that I’ve used for many years, and they work well for me. I had very little money when I started using these affirmations, but consistent practice has made them come true for me. For a long time, I’ve believed that business is a place where we bless and prosper each other. I’ve never understood the concept of cutthroat business, where you try to cheat and put one over on the other person. That doesn’t sound like a joyous way to live. There’s so much abundance in this world—all we need to do is recognize that fact and share the wealth. At Hay House, my publishing company, we’ve always been honest and honorable. We live up to our word, do our work well, and treat others with respect and generosity. When you live that way, it’s impossible to keep the money away; the Universe rewards you at every possible turn. Today we have a fabulous reputation in the publishing world, and so much business that we’re turning it away. We don’t want to grow so big that we lose the personal touch. If I, an abused child who didn’t finish high school, can do it, you can, too. “I am open and receptive to all the good and abundance in the Universe. Thank you, Life.” Life will hear you and respond. • The money that comes to me today is a pleasure to handle. I save some and spend some. • I live in a loving, abundant, harmonious universe, and I am grateful. • Money is a state of mind that supports me. • I allow prosperity to enter my life on a higher level than ever before. • Life supplies all my needs in great abundance. • The Law of Attraction brings only good into my life. • I move from poverty thinking to prosperity thinking, and my finances reflect this change. • I delight in the financial security that is a constant in my life. • The more grateful I am for the wealth and abundance in my life, the more reasons I find to be grateful. • I express gratitude for all the good in my life. • Each day brings wonderful new surprises. • I pay my bills with love, and I rejoice as I write out each check. • Abundance flows freely through me. • At this very moment, enormous wealth and power are available to me. • I choose to feel worthy and deserving. • I deserve the best, and I accept the best now. • I release all resistance to money, and I now allow it to flow joyously into my life. My good comes from everywhere and everyone. Excerpted from I Can Do It: How To Use Affirmations To Change Your Life by Louise L. Hay. Copyright © 2004 (Hay House). 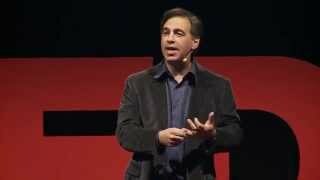 Watch this amazing and enlightening TED talk by Michael Neill, where he speaks about what our mind perceives vs. reality.